Take your lunch or picnic on the go with this NCAA team logoed Pranzo insulated lunch tote, featuring isolated sections so you can separate your hot and cold food and drink items. The exterior is made of ripstop polyester with a nylon interior. The Pranzo also features an adjustable shoulder strap, soft grip handle, side mesh pockets and a hidden flatware section complete with one each stainless steel fork, knife and spoon, plus one set of salt and pepper shakers in frosted glass and one 14 by 14-inch napkin in 100-percent cotton. Measures 12 by 8 by 11. The NCAA Picnic Time Pranzo is the perfect lunch tote for school, work, day trips and solo picnics. 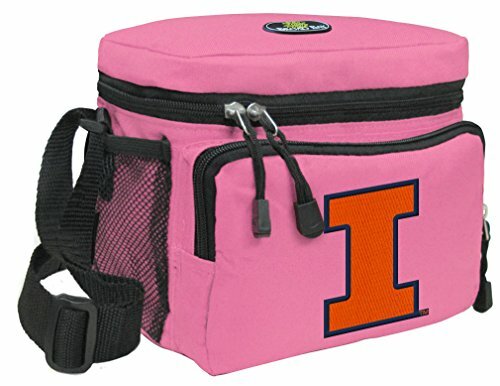 An Official NCAA Illini Lunch Bag Cooler Is A Unique University of Illinois Gift for a Man or a Woman! 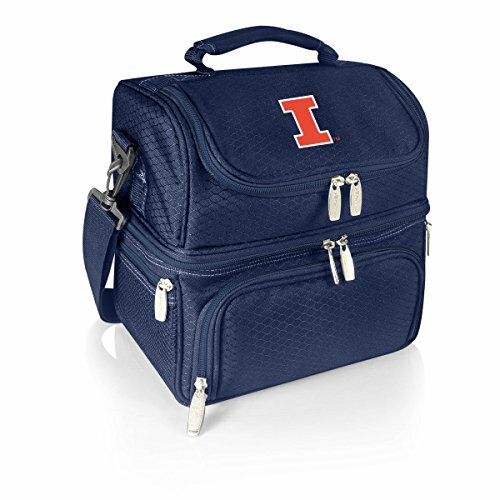 Our deluxe Illini lunch cooler is just the right size for lunch or travel. 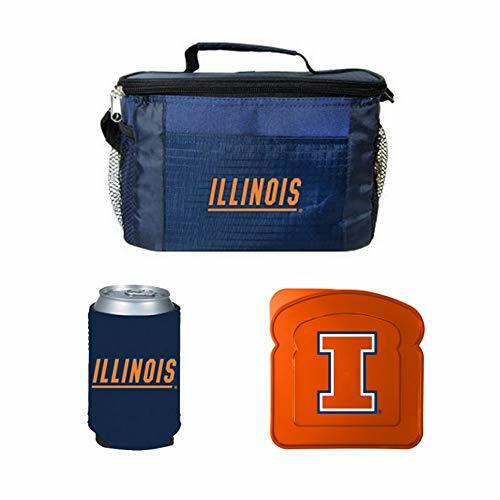 This well-insulated, soft-style University of Illinois lunch bag contains a roomy main compartment and a useful zippered front pocket for keys or accessories. Well-made with additional convenience features such as a double-zipper wrap-around closure, and an adjustable shoulder strap. This Illini lunch bag also works great as a University of Illinois cosmetic bag for her or a University of Illinois travel bag! 8.5 x 8 x 6.5 SIX PACK SIZED - Compact and well made! 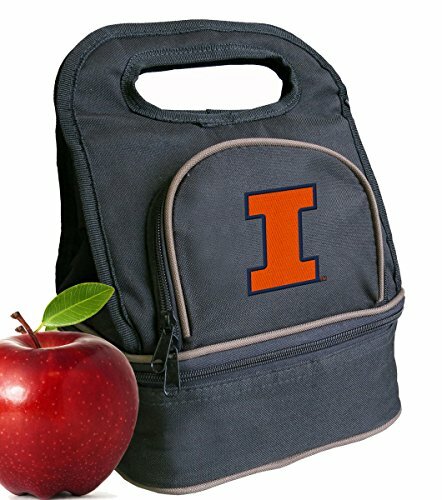 **Official University of Illinois Lunch Bags & Illini Lunch Boxes- Up to 12% Returned to Support Illini Programs! Coordinating Back to School Lunch Bag Tote - Unique and stylish patterns that are sure to be a hit with any child. This insulated lunch bag tote can be used for school, camp, work, day trips, vacation or whatever your heart desires. It's a fun and exciting way to keep all of your stuff in one place. Choose blank or with any of our personalized or monogrammed initials styles. Personalized just for you makes it a great gift or present for any child. 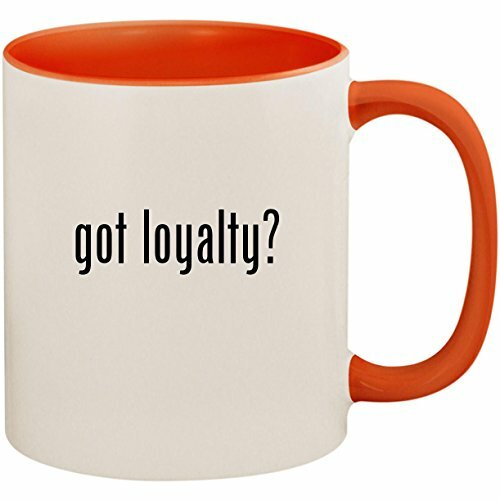 10" L x 3.5" W x 8.5" H. High Fashion Printed Polyester with Inside Lining to easily wipe clean. Quick Clip Easy Carry Strap that is designed to quickly attach to Backpack. Zipper Closure. Personalized and Monogrammed items are non-refundable. Embroidered area is approximately 2" x 4" based on style chosen. Broad Bay University of Illinois Lunch Bag Illini Lunch Box - 2 Sections! 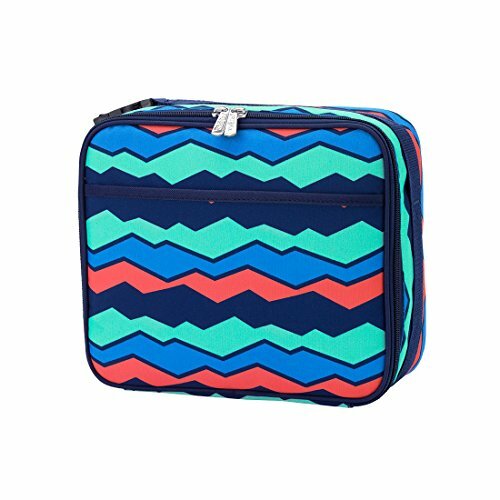 The Broad Bay double decker Official Illini lunch box cooler bag is just the right size for lunch or travel. 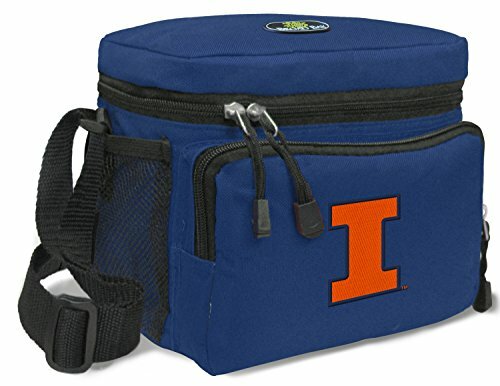 This well-insulated Official University of Illinois Logo lunch bag contains 2 separate fully insulated and zippered main compartments and a zippered front pocket that's perfect for utensils, condiments, or lunch money. The lower compartment is ideal for packing a plastic food storage container. Then pack the rest of your lunch on the separate upper section. Top quality construction with additional convenience features such as a double-zipper wrap-around closure and handy handle. 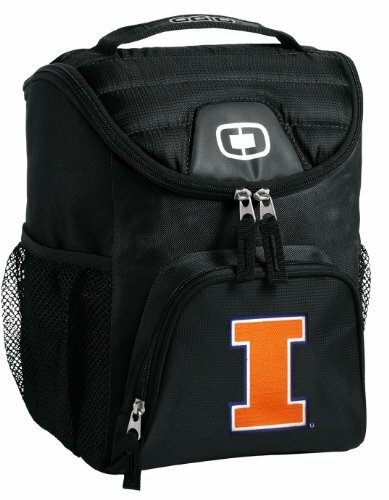 This University of Illinois lunch bag also works great as a Illini cosmetic or travel accessories bag! Total functional area dimensions:8.25" long x 6.5" deep x 8.5" tall -- Compact and well made! Lower compartment interior: 8.25" long x 6.25" deep x 3" tall Top triangular compartment interior: 8.25" long x 6.25" deep x 5.5" tall at highest point. OFFICIAL University of Illinois Lunch Bags & Illini Lunch Coolers - Up to 12% Returned To Support University of Illinois Programs! 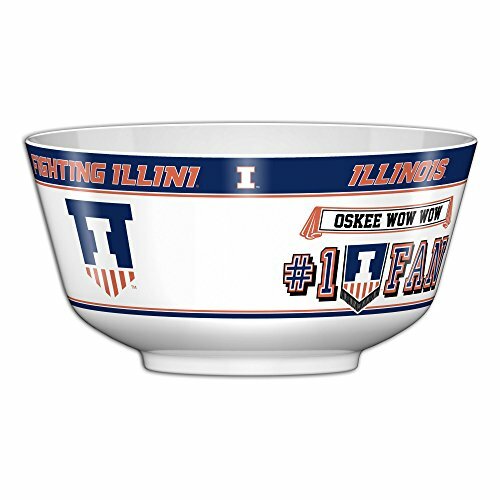 Party Bowl features your favorite college team's logos and has an impressive 11.75 inch diameter/2-gallon capacity. Perfect for one serving of your favorite snacks on game-day or 4 smaller snacks with add on divider accessories. Shopping Results for "Illini Lunch"